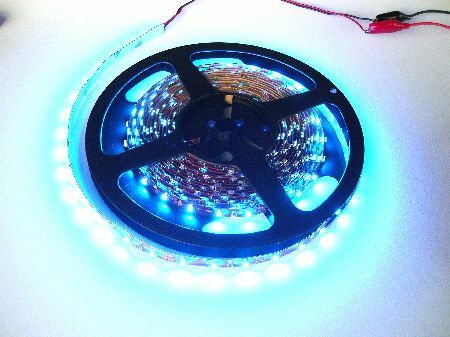 LED strip on a flexible printed circuit board. Light up your Mikrokopter for the dark winter evenings! Powering these LED's is easy - simply connect to any 12-14V DC supply such as the Bl-Ctrl power lines on the Mikrokopter. When ordering several pieces that would normally be delivered as one long piece. You have to cut them into pieces.